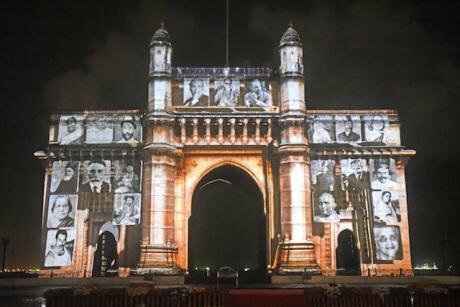 Grand laser show at Gateway of India about the journey of India's 70 year of independence, August 15, 2017 in Mumbai.Hindustan Times/SIPA USA/Press Association. This August, India celebrates 70 years of the culmination of its freedom struggle which inspired the world. Powered by individuals from all walks of life and led by social activists who cut across religious and ethnic divides, the country’s freedom struggle was the greatest civil society movement of its time, and led by the world’s pre-eminent civil society activist, Mahatma Gandhi. The struggle’s purpose was not only to win independence but to create a just and equal society where the human rights of everyone including the historically disadvantaged would be respected. Despite this, the spiritual descendants of India’s freedom fighters working in thousands of civil society organisations (CSOs) across the country are facing a slew of well documented obstacles. Routine online trolling, unjustified vilification based on rumour and various forms of arbitrary administrative harassment as some of the everyday challenges faced by those engaged in the defence of constitutional values. Contrary to popular belief, those familiar with the working of CSOs know well that the overwhelming majority of organisations and activists operate on relatively meagre budgets drawing on Gandhian traditions of self-sacrifice. Global Witness has recently reported a spike in the murders of land and environmental activists in the country. Government officials who have a responsibility to protect rights have been implicated in several attacks on activists and in curtailing protests by communities facing usurpation of their land by mining companies. While economic growth, security and corruption free governance may define the narrative of the ruling political class, the state of India’s democracy including intolerance of alternate views remains on the mind of several international interlocutors. Notably, the World Economic Forum has identified fraying rule of law and declining civic freedoms as a major global risk for 2017. Attacks on the independent media and civil society have already damaged the country’s reputation as a stable investment destination. Attacks on the independent media and civil society have already damaged the country’s reputation as a stable investment destination. The Economist Intelligence Unit which provides key analysis to business leaders rates the world’s largest democracy as ‘flawed’ in its 2016 Democracy Index. Never mind that India is a member of the governing council of the Community of Democracies, an intergovernmental body that supports civil society and democratic values around the world. The 2017 Press Freedom Index ranks India at an abysmal 136 out of 180 jurisdictions covered. The CIVICUS Monitor, which measures protection of civic freedoms categorises India’s civic space as ‘obstructed’. India’s leaders need to be cognisant of the fact that by attacking civil society they are undermining a key source of the country’s influence in international circles. Selective use of international funding restrictions to hobble thousands of diverse and vibrant civil society organisations (CSOs) – through the emergency-era-inspired Foreign Contributions Regulation Act – is tantamount to an own goal by the government which is keen to project a positive image to foreign investors. Robust debate and space for democratic dissent should be welcomed in the larger public interest. They make a country stronger not weaker in the long run. At a time when barriers are being lowered to enable foreign private entities to bring in and take out huge amounts of capital from the country, use of the FCRA to target a substantial section of CSOs receiving relatively insignificant amounts is jarring, considering that like private companies, CSOs must also adhere to criminal, anti-terror and money-laundering legislation. Moreover, CSOs act as a bulwark against corruption and poor governance. They champion social cohesion and the rule of law, recognised by governments, the private sector and the international community as the building blocks of sustainable economic development. To fully realise the country’s national development vision of Sabka Saath, Sabka Vikas (collective effort and inclusive growth) civil society should be able to offer deep critiques of public policy without fear of reprisals. Contestations on political and economic matters are inevitable in any democracy. Robust debate and space for democratic dissent should be welcomed in the larger public interest. They make a country stronger not weaker in the long run. Prime Minister Modi’s speech referenced the values of peace, unity and compassion which are integral to civil society. Notably, India played a key moral role in international affairs during the anti-colonial struggles and as a founding member of the Non-Aligned Movement during the cold war. Today, as a rising economic power and as a member of BRICS alliance, the country needs to draw on its history in being a promoter of democratic values at home and abroad. Active citizens and civil society can help the nation in reclaiming that legacy.